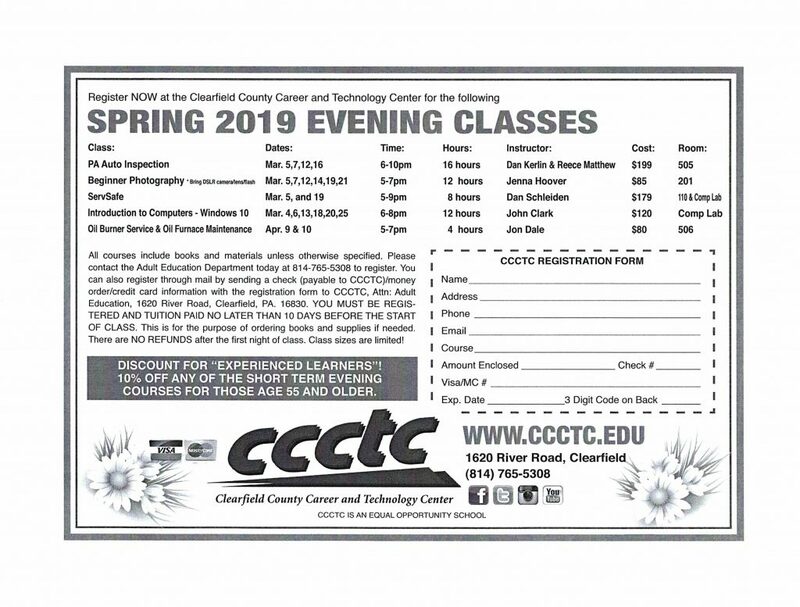 Unless otherwise noted, the following short-term evening courses may be offered every Spring and Fall at the Clearfield County Career and Technology Center. Classes range from 3 to 24 hours, depending upon the intensity of the course. For more information, call us at 814-765-5308 or contact us at hryan@ccctc.edu or hbressler@ccctc.edu. 10% off any of the short term evening courses for those 55 and older.